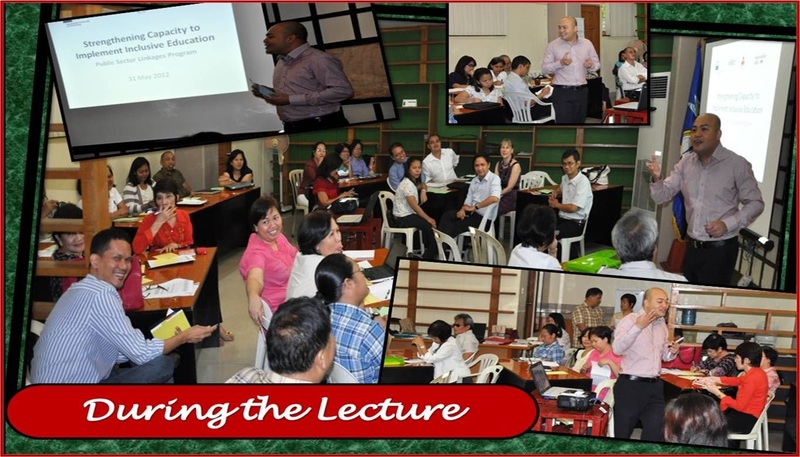 The conduct of the 4-day kickoff component of “Strengthening the Capacity to Implement Inclusive Development in the Philippines” a partnership program between the National Council on Disability Affairs, the Department of Education and the Queensland University of Technology, under the Public Sector Linkages Program (PSLP) of Australian Agency for International Development (AusAID). 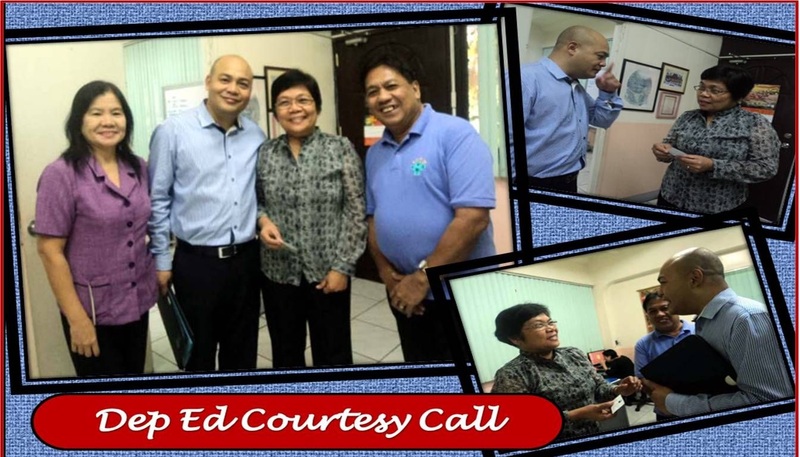 Day two, 30 May 2012 courtesy call to the Department of Social Welfare and Development. The National Council on Disability Affairs (NCDA) led by its Deputy Executive Director, Mr. Mateo A. Lee, Jr. together with Mr. Nelson Salangsang, Business Manager, Queensland University of Technology was welcomed by DSWD team led by Assistant Secretary, Institutional Development Group,Ms. Vilma B. Cabrera and Officer-In-Charge, Technical Assistance Unit. The conduct of “Consultation with Stakeholders and Training Needs Analysis” was held at the Department of Education, Pasig City. (Clockwise from the center picture) Ms. Trisha Gray, First Secretary, AusAID delivered a message from AusAID. Ms. Shalaine Marie Lucero, SWO V -DSWD Regional Office 7, served as the Master of Ceremony. DepEd’s Chief, Special Education Division Ms. Mirla R. Olores, welcomed the guests and participants and Deputy Executive Director, Mr. Mateo A. Lee, Jr. delivered a message from NCDA. 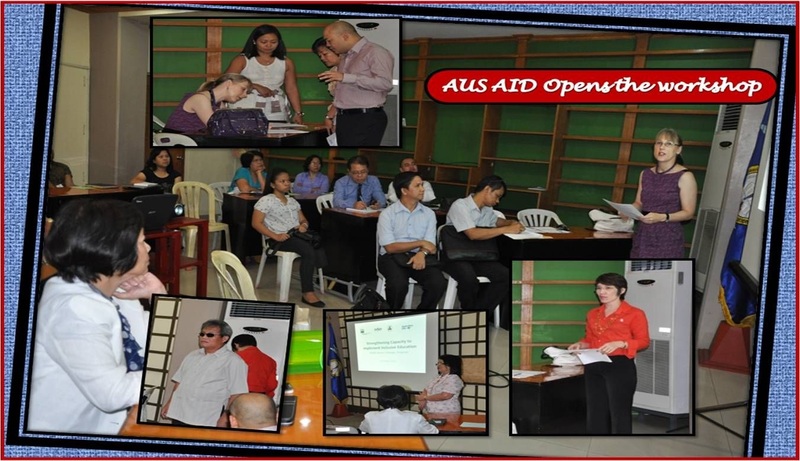 Top left picture, Mr. Nelson Salangsang, Queensland University of Technology, Ms. Josephine V. Despi, National Council on Disability Affairs and Ms. Bernadette Cariaga, AusAID watch Ms. Trisha Gray as she signs the attendance sheet. Mr. Nelson Salangsang, Business Manager, Queensland University of Technology gave an overview on Inclusive Education, Culture of Participation and the G R O W Model Coaching. 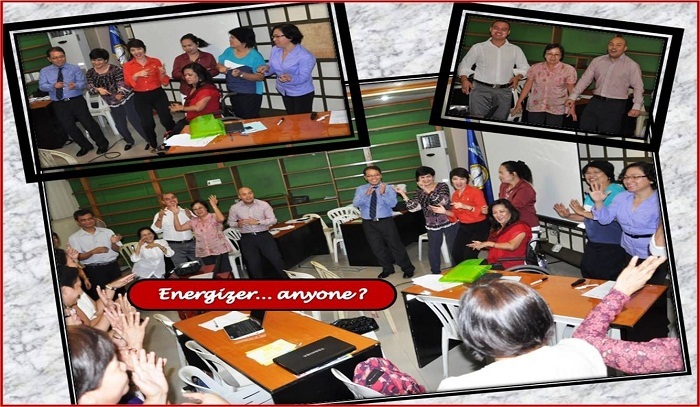 Mr. Salangsang led the energizer for the group. The Workshop. 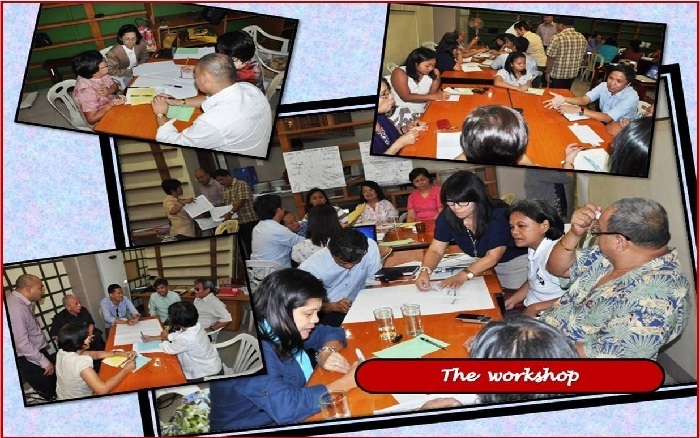 The participants were divided into five (5) groups to discuss their vision of Inclusive Education in the Philippines and the barriers to this vision. Each group presented their output. Day 4, 1 June 2012, the last day of the kick off component of the program. 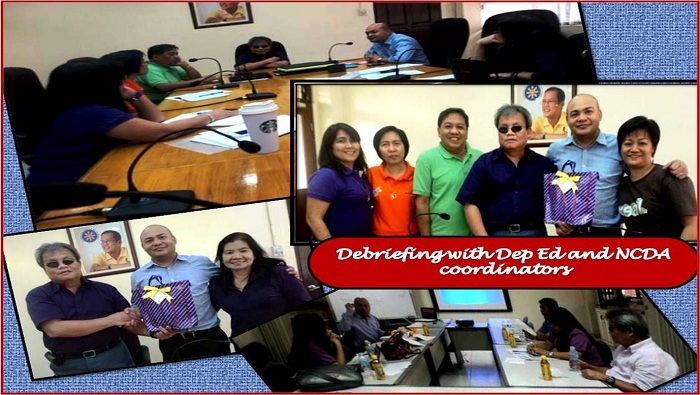 Debriefing with the DepEd and NCDA coordinators with Mr. Salangsang. On the bottom left picture, DED Mateo A. Lee, Jr., awarding the token of appreciation to Mr. Nelson Salangsang with Ms. Nelia de Jesus. 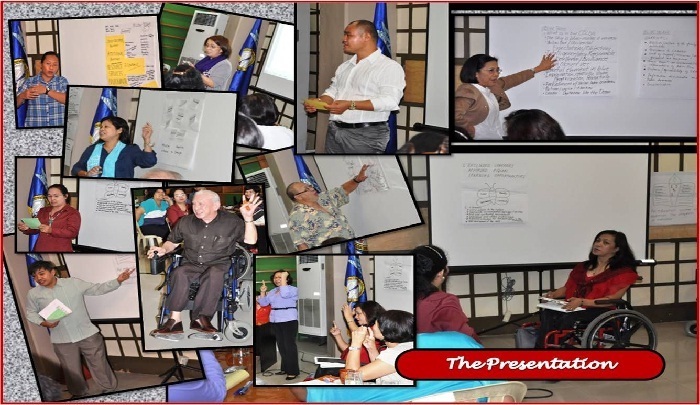 Middle right picture, The NCDA and DepEd coordinators with Mr. Salangsang, from the left: Ms. Leovigilda Oasin, HRMO, NCDA; from DepEd Ms. Nancy Pascual and Mr. Romeo Mina, both Sr. Education Specialist; DED Mateo A. Lee, Jr., and Ms Josephine V. Despi, Project Development Officer.